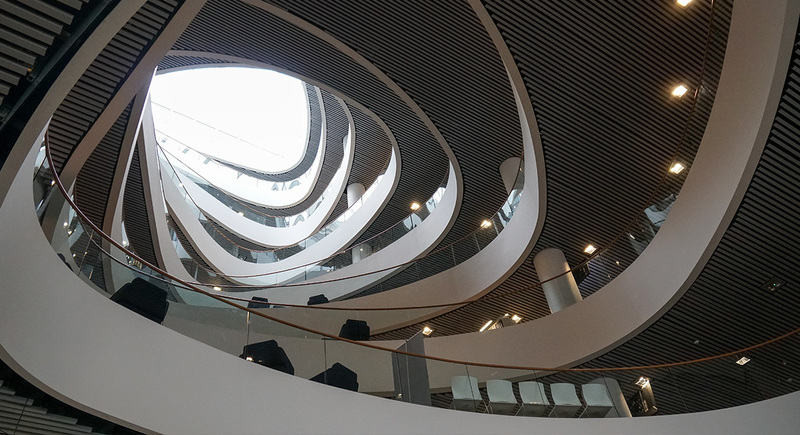 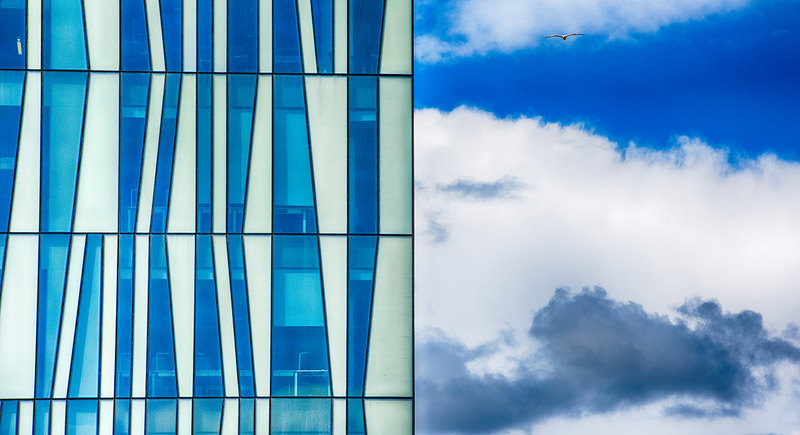 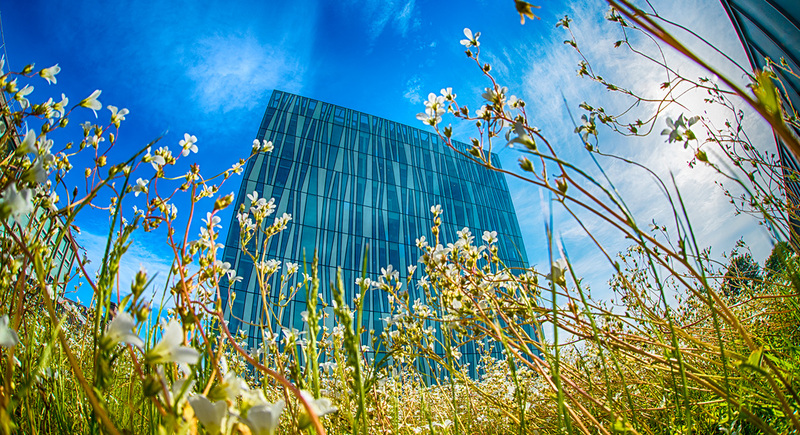 Boasting stunning architectural design, the Sir Duncan Rice Library acts as a meeting and a cultural centre for the University and wider Aberdeen community. 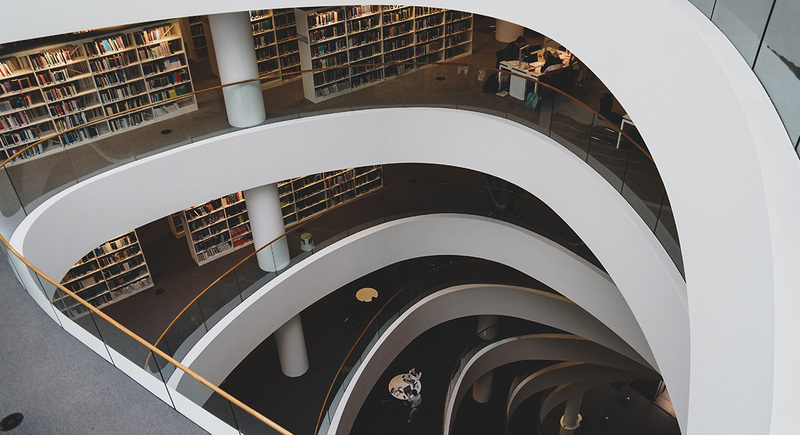 The Library provides facilities and services from modern and historical collections of books to silent study and collaborative rooms throughout. 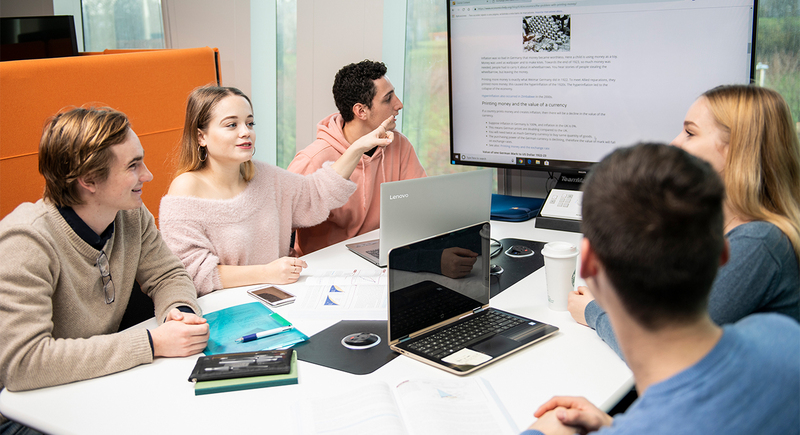 With over 1,200 reading space environments the library continually looks to bring in the latest Audio Visual technologies to enhance is already impressive spaces for students and wider public alike. 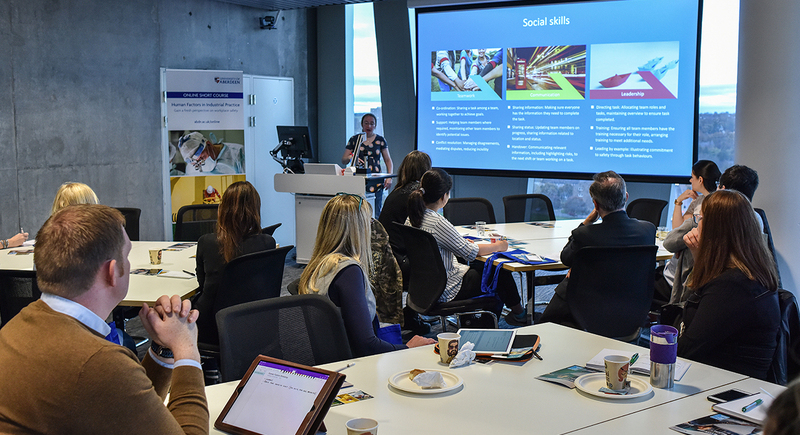 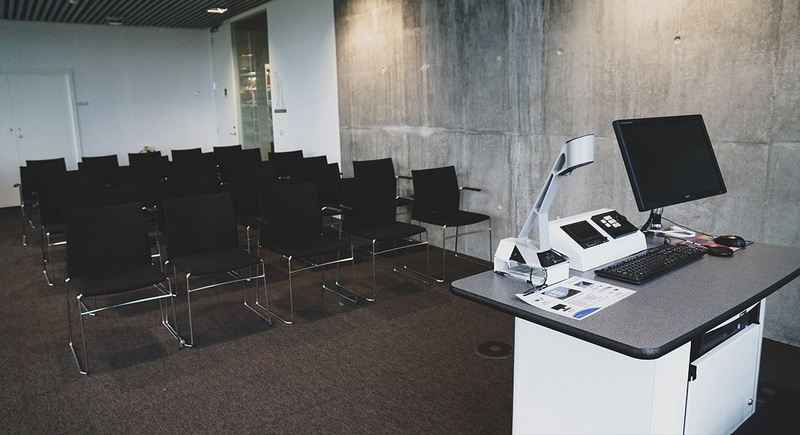 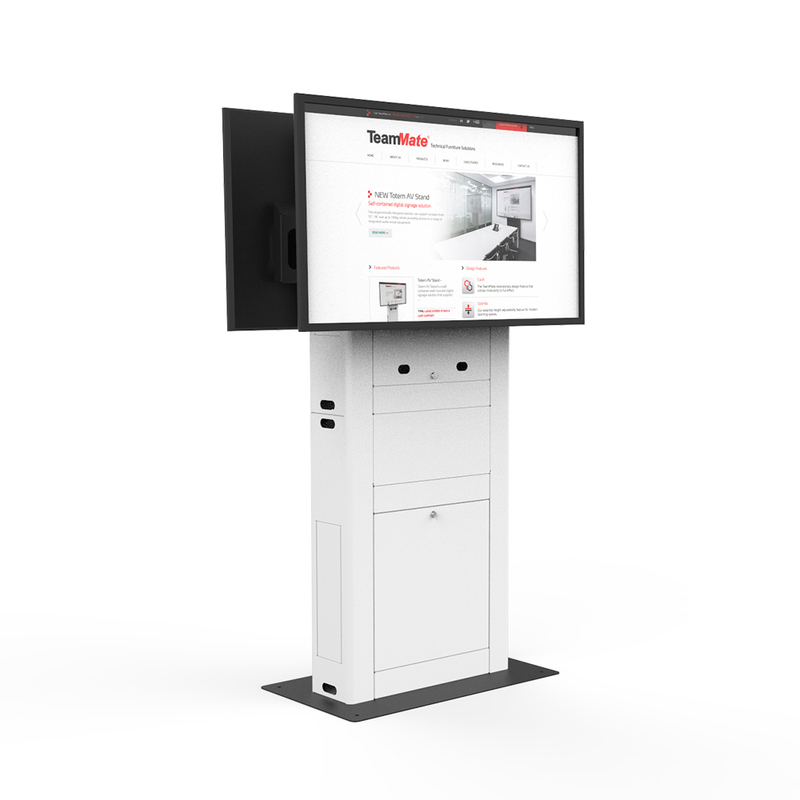 TeamMate were approached by AV integrator Streamtec and the University, to provide a standard teaching lectern for the library’s breakout and seminar rooms across the building. 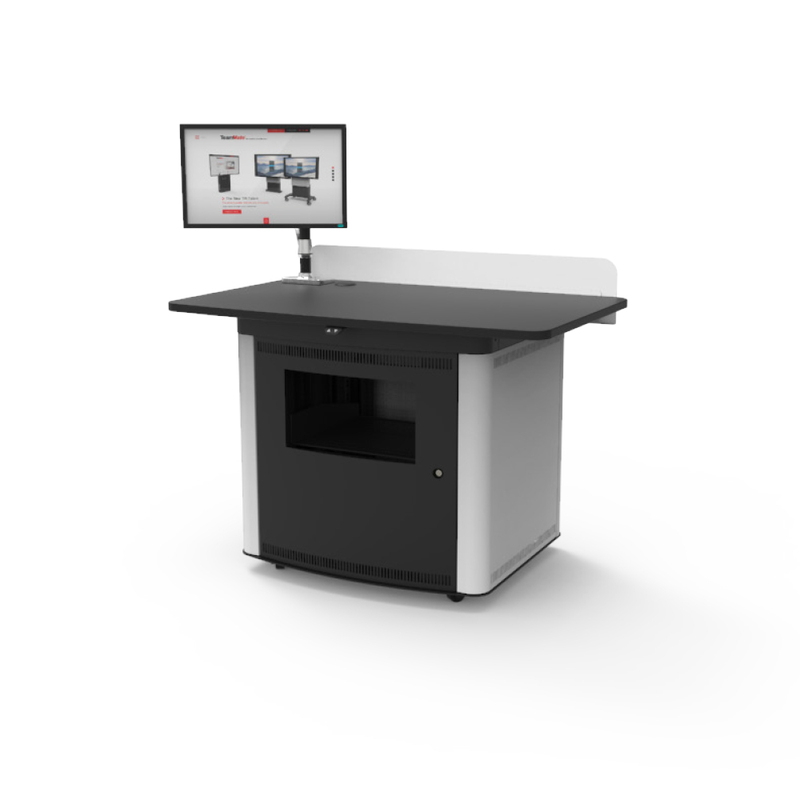 The lectern had to securely accommodate the University preferred control panel and visualiser system as well to ensure cables would not clutter the worktop. 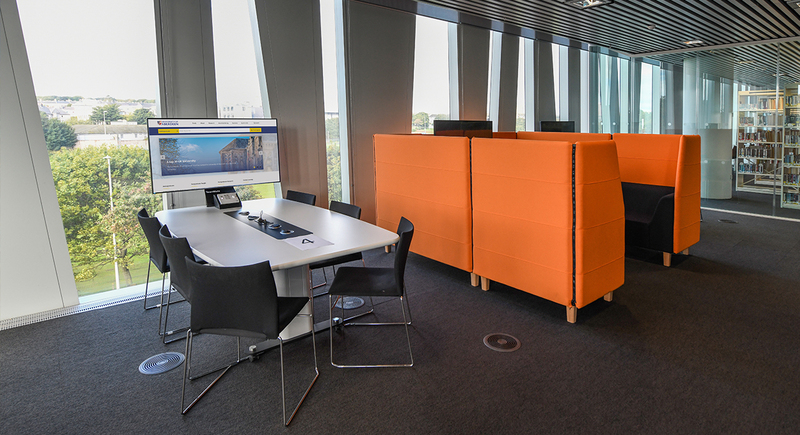 In addition to the general seminar rooms, the University library estates department wanted to create a new breakout room on floor 1. 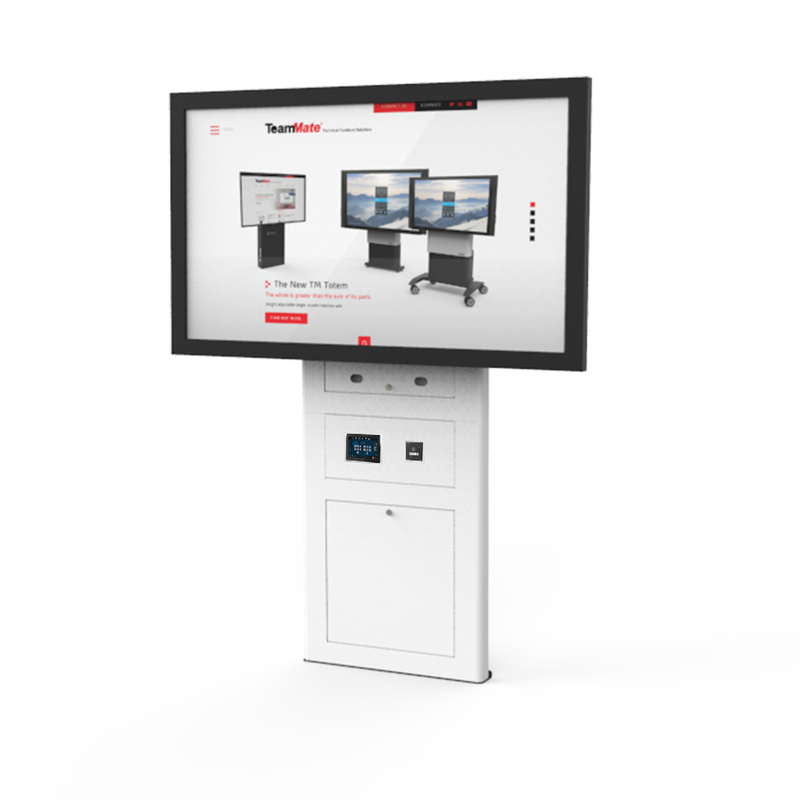 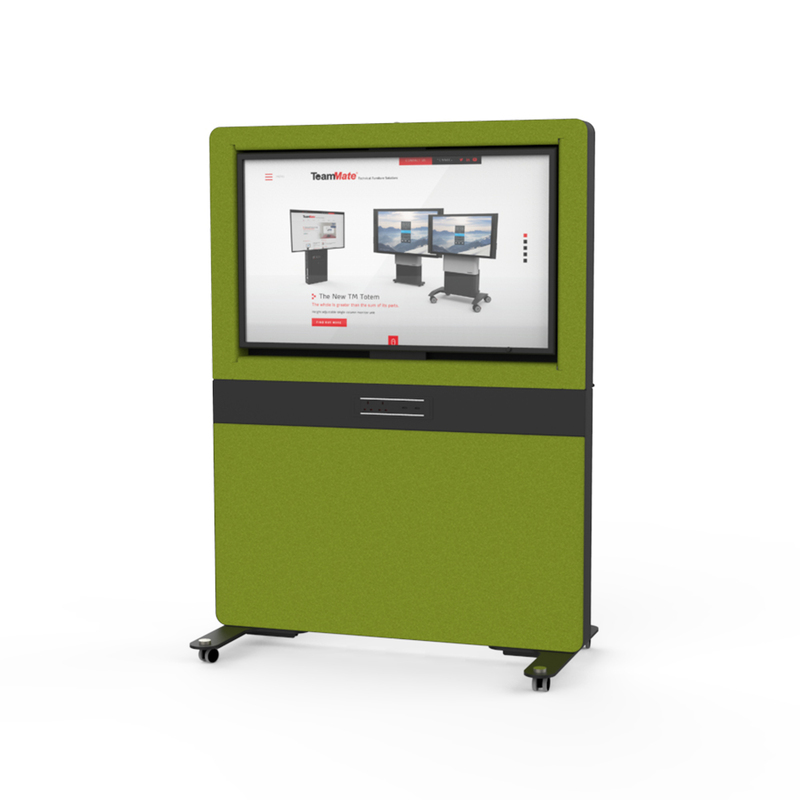 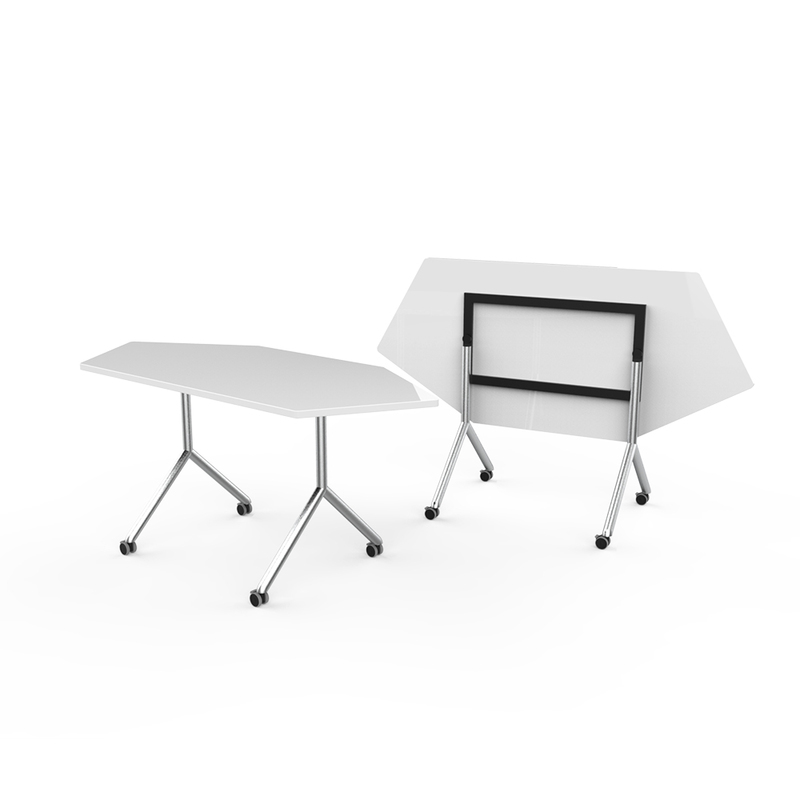 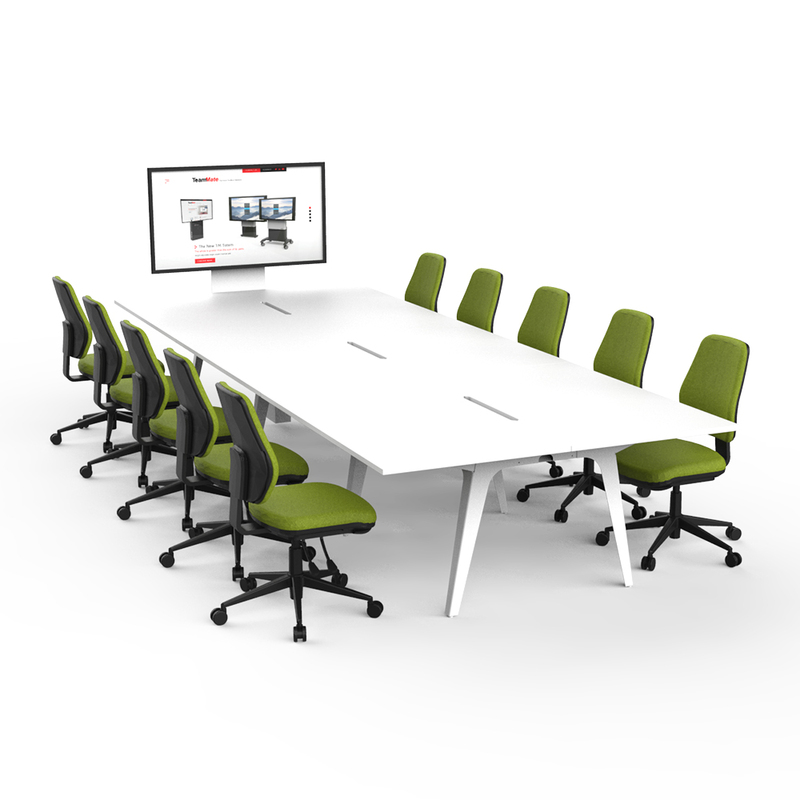 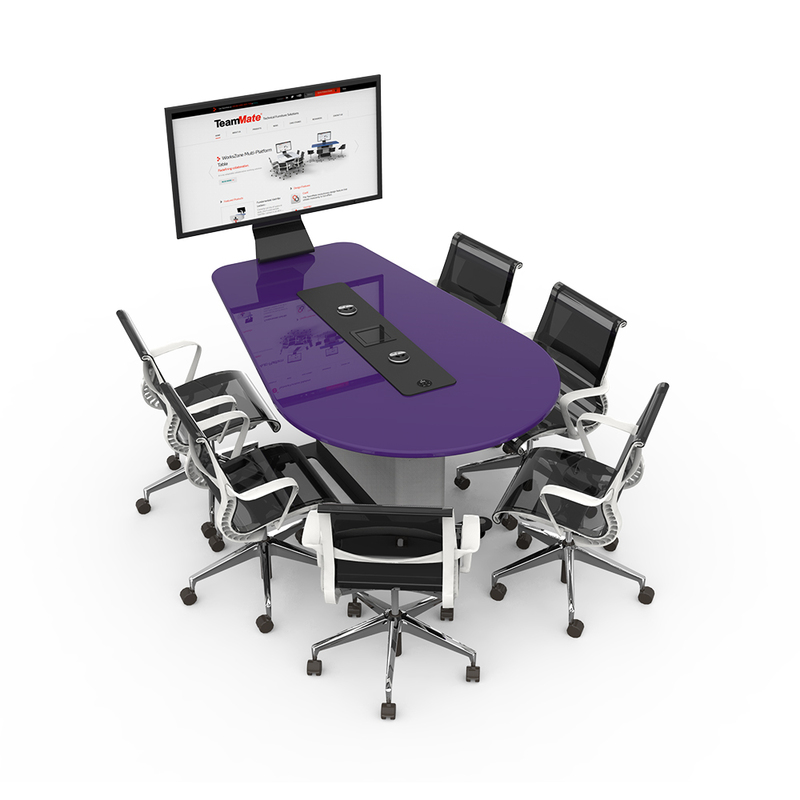 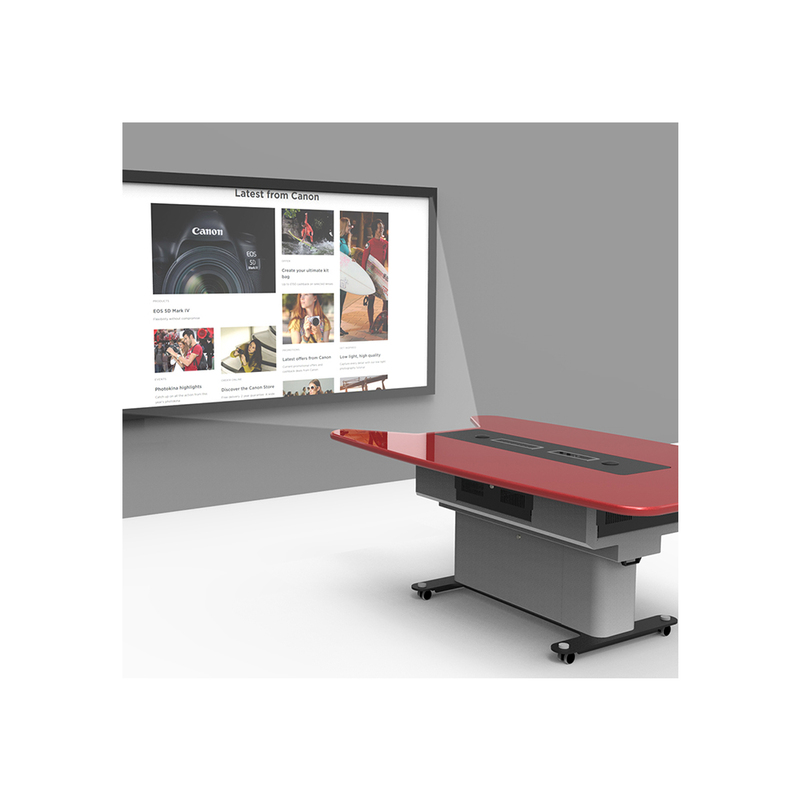 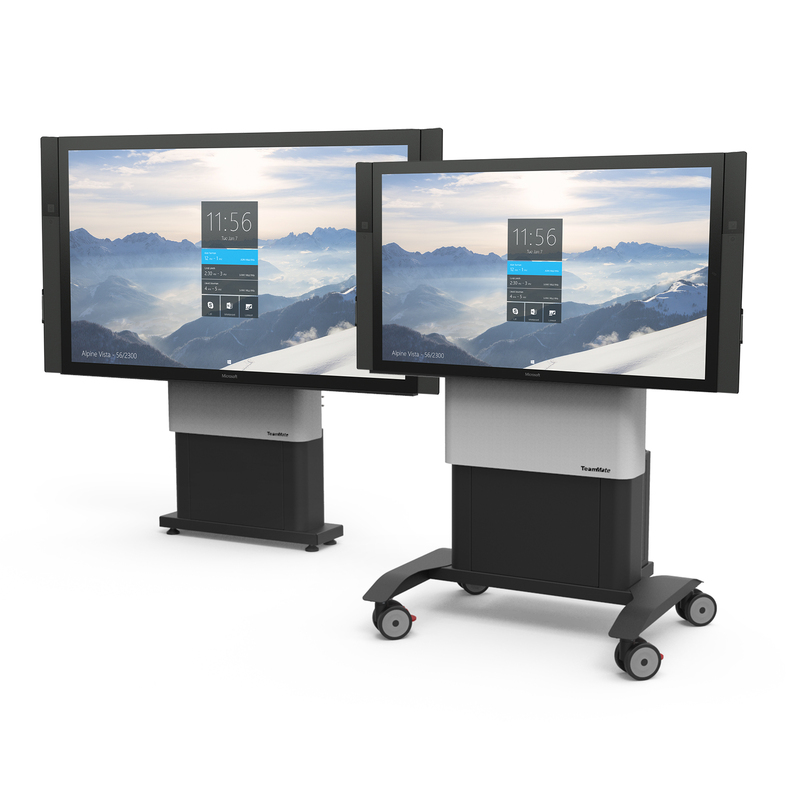 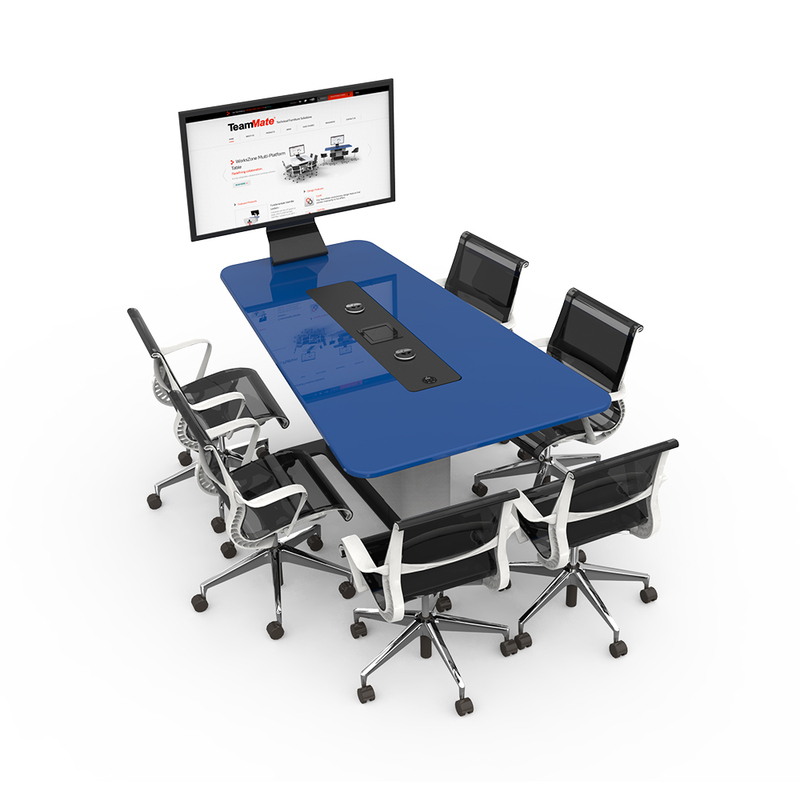 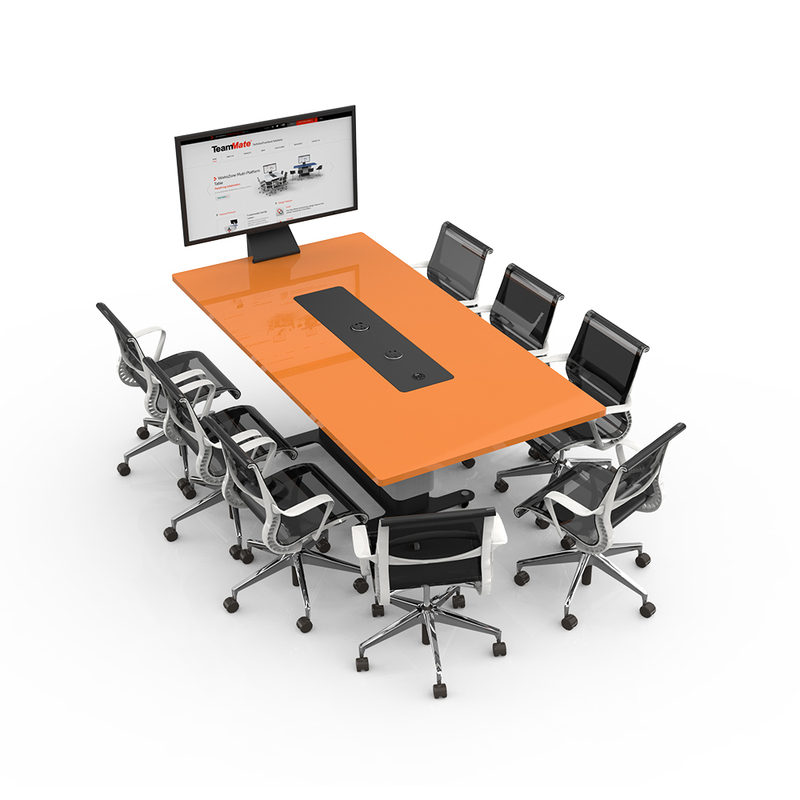 The brief was offer collaborative huddle solutions that students to could book out to ether work privately or collaboratively by using the screen. 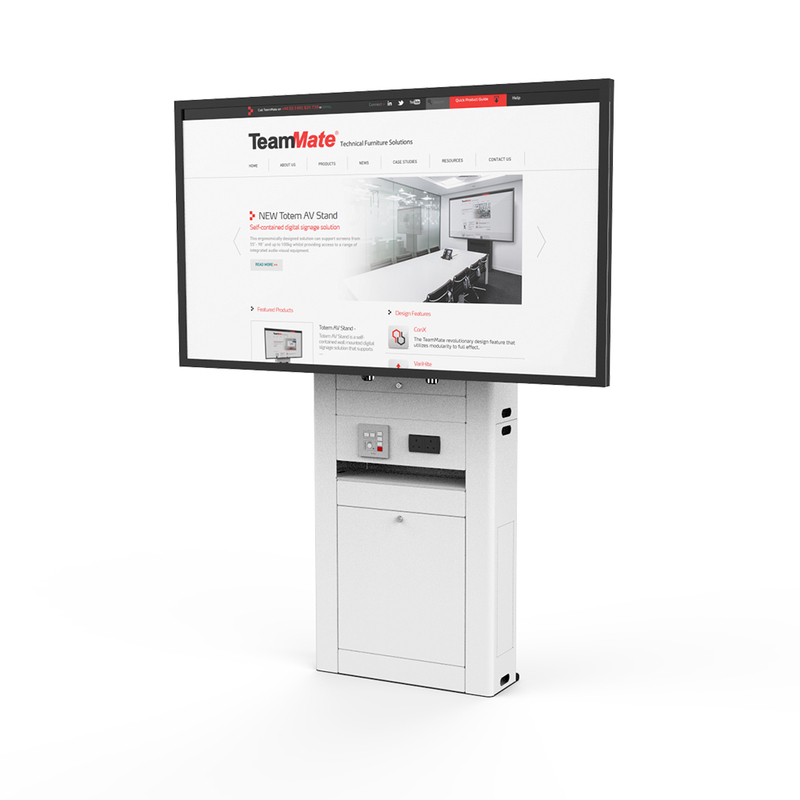 During the early development TeamMate provided a demo unit for a trial which received positive feedback from both academics and staff. 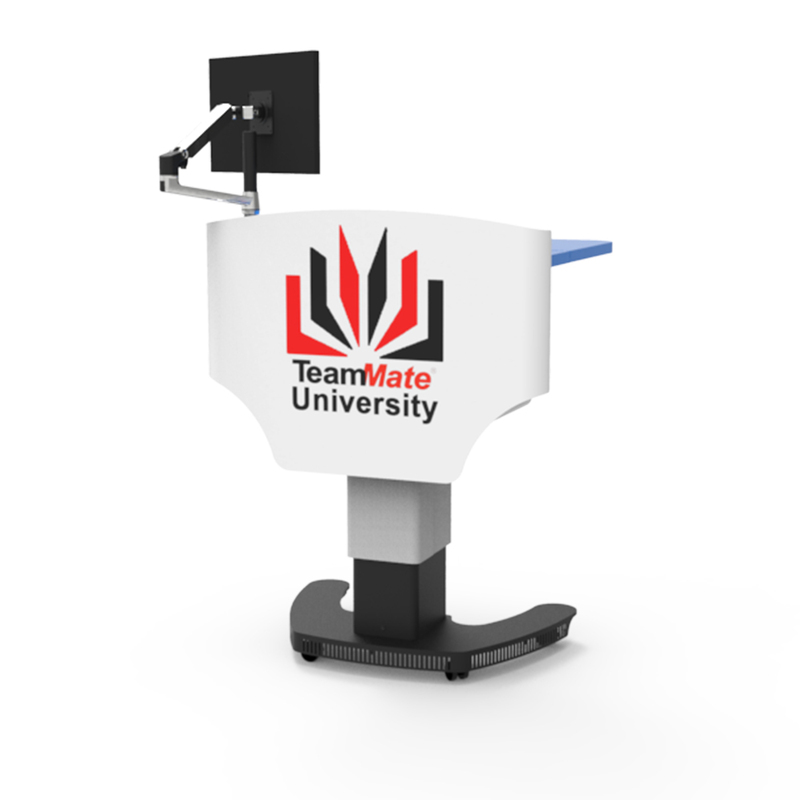 During the late summer of 2018, TeamMate provided in total 8 Educator Single Lecterns for the library’s seminar and meeting rooms. 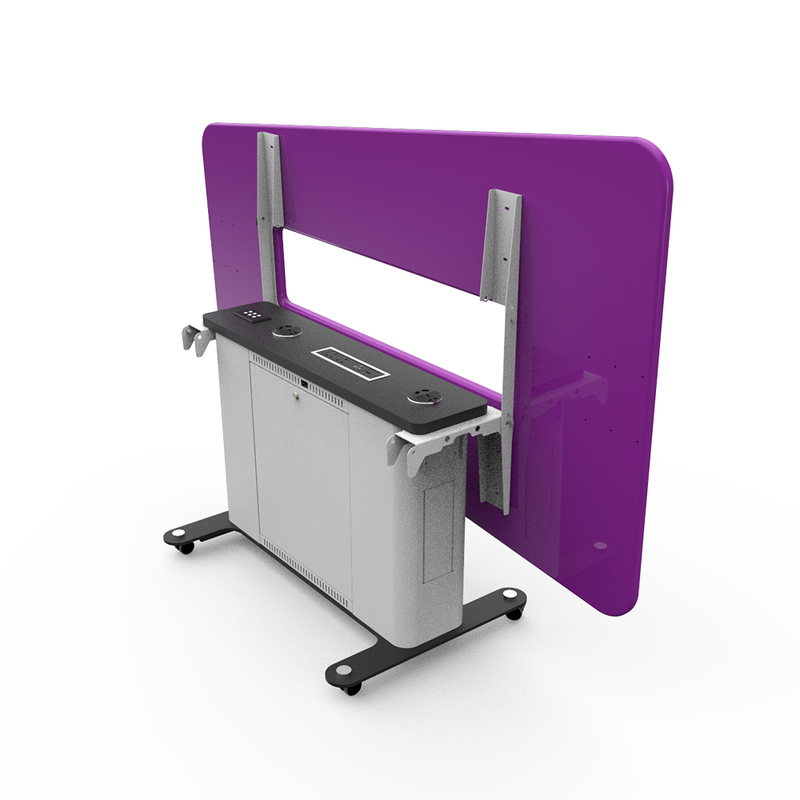 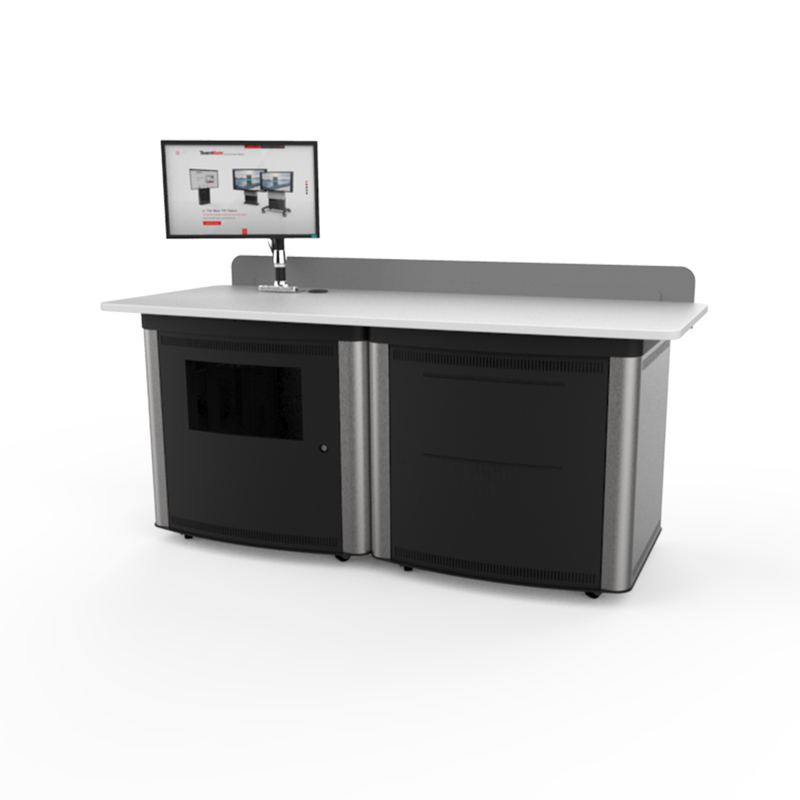 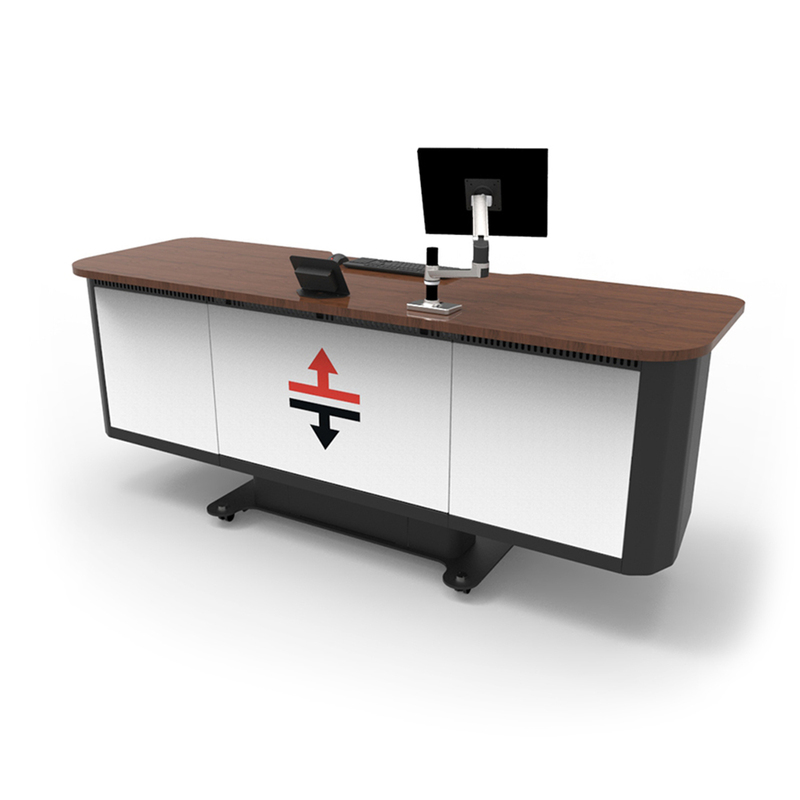 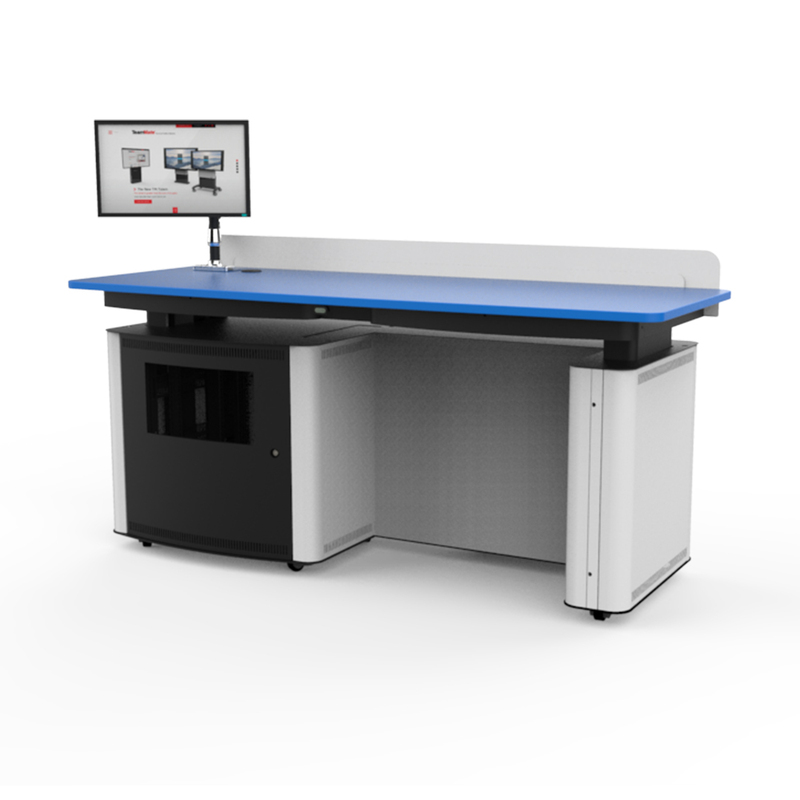 Each lectern had a custom designed security housing for the new WolfVision vSolution Cam visualiser which increased its image size whilst keeping it securely to the lectern. 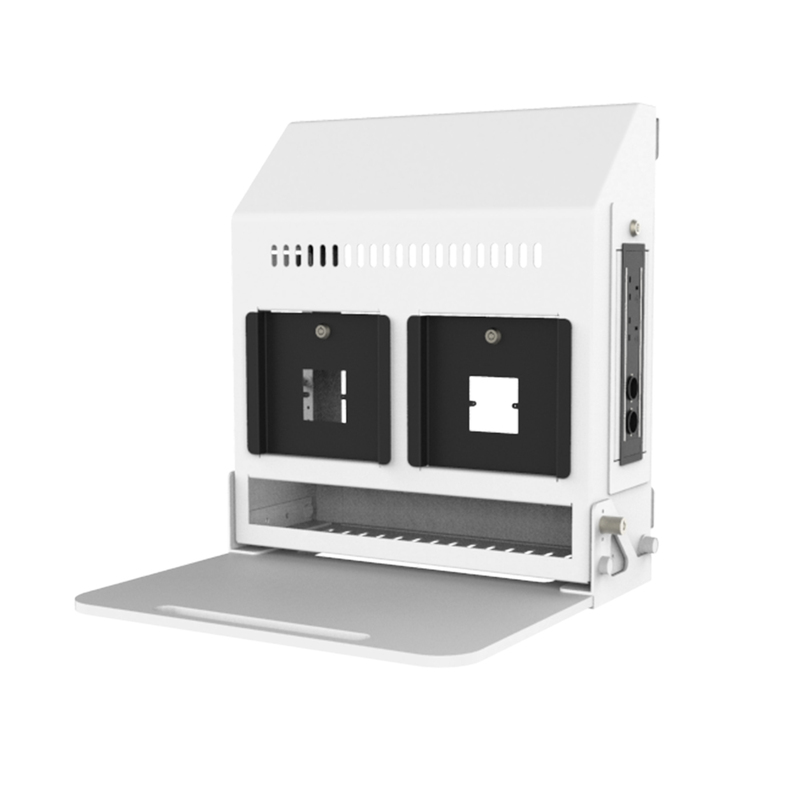 The Educator had a TeamMate cable retractor to prevent cable clutter on the worktop and fitted into the specially designed sides of the Educator’s rack bay. 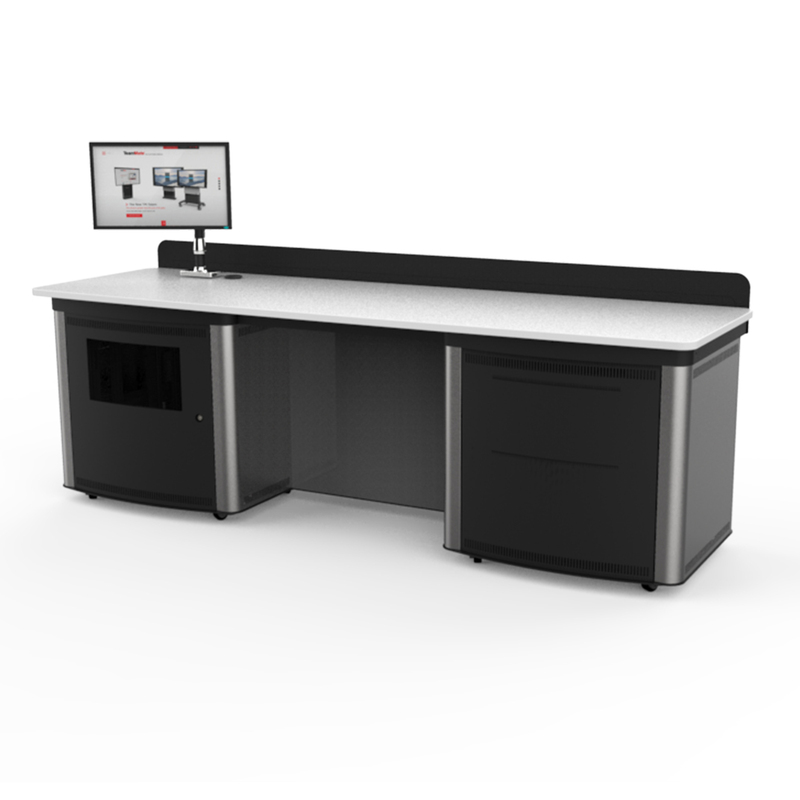 In addition, a power puck, control housing and double articulated monitor arm were carefully machine drilled into position on the worktop, to create the greatest amount of space possible for users. 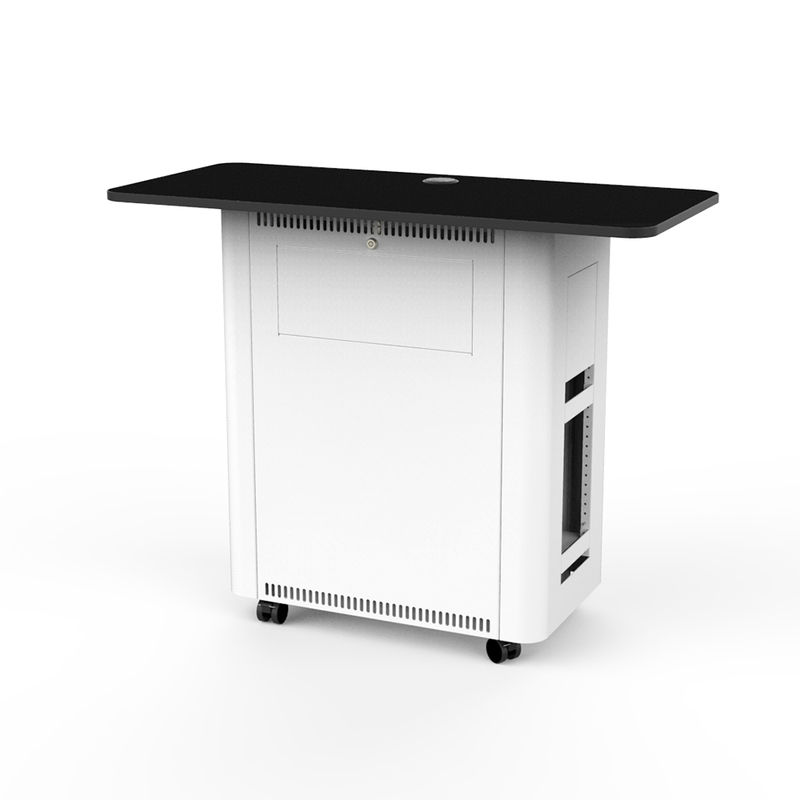 The lectern was finished in a white powder coat paint with the standard hardwearing stardust worktop finish with black armour edging to boot. 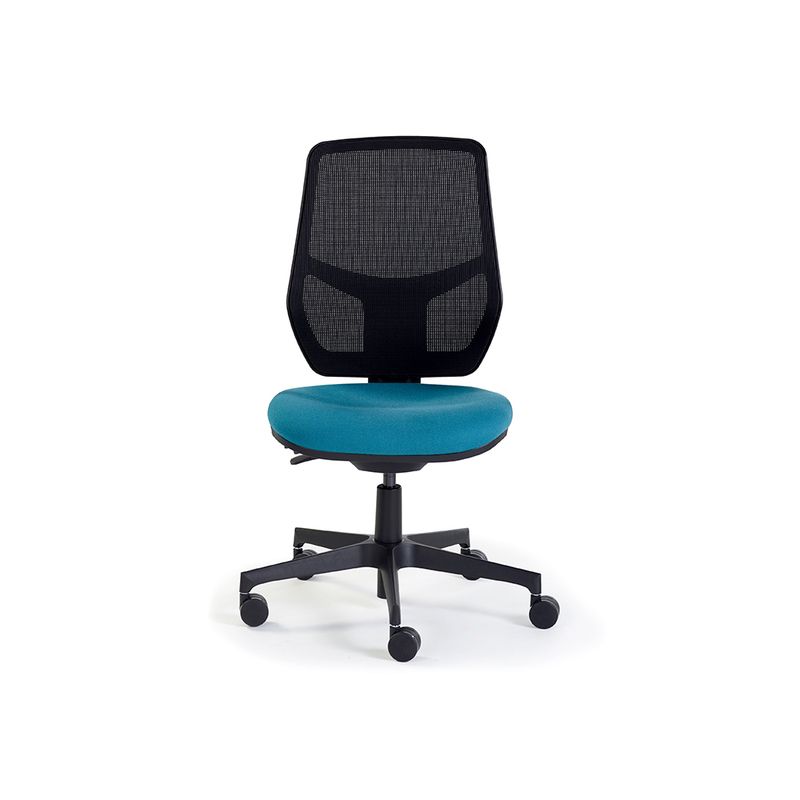 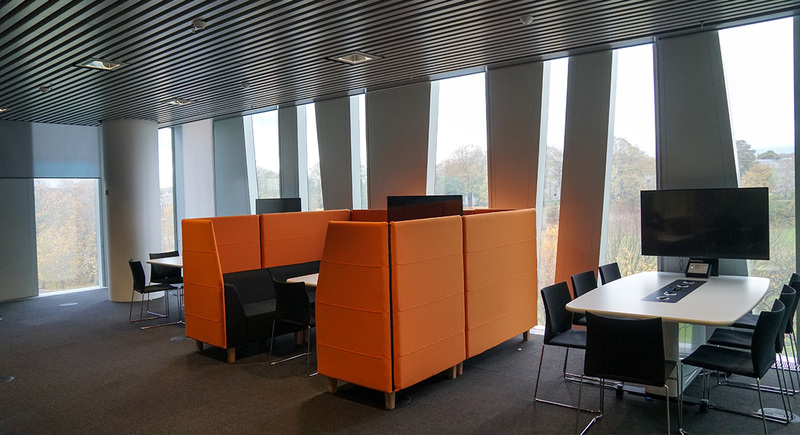 Both the soft seating element of the Pod and the technical furniture provided the ideal solution for both silent and group study. 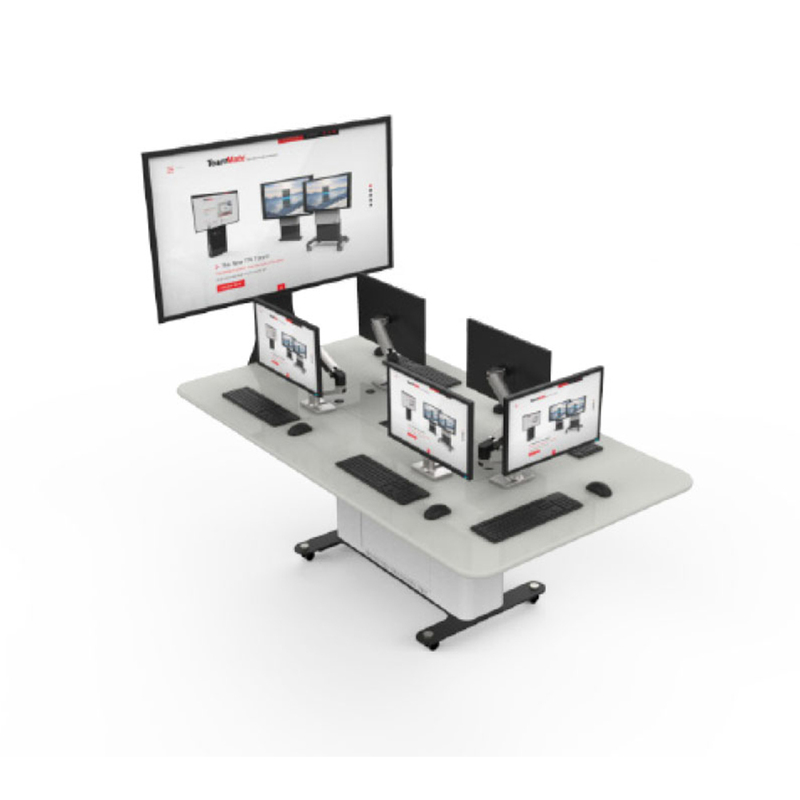 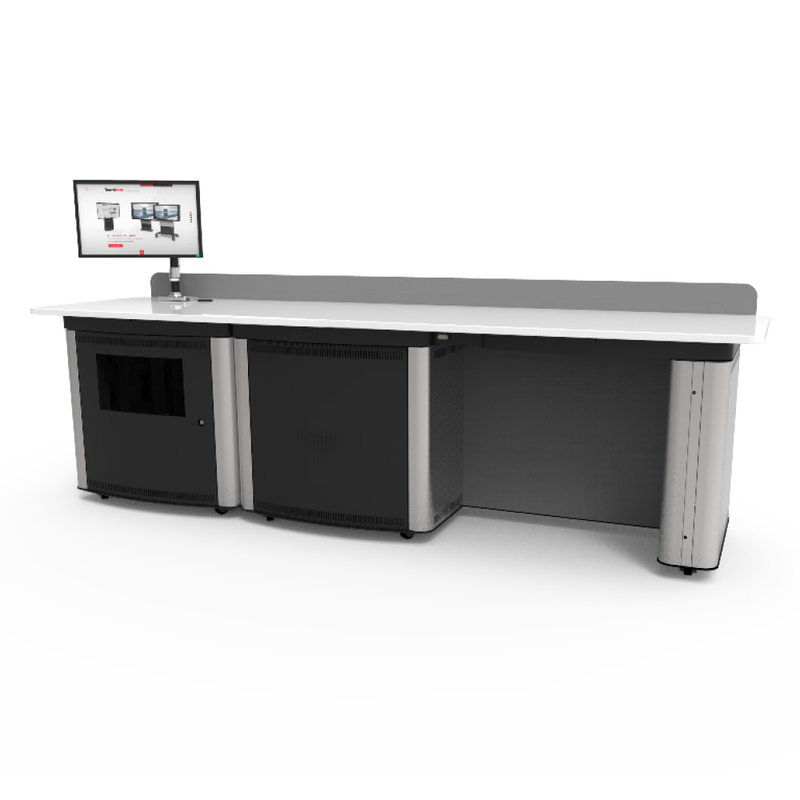 Each table, like the teaching lecterns, had a TeamMate cable retractor system, a control housing for an Extron touch panel and power for external plug in devices. 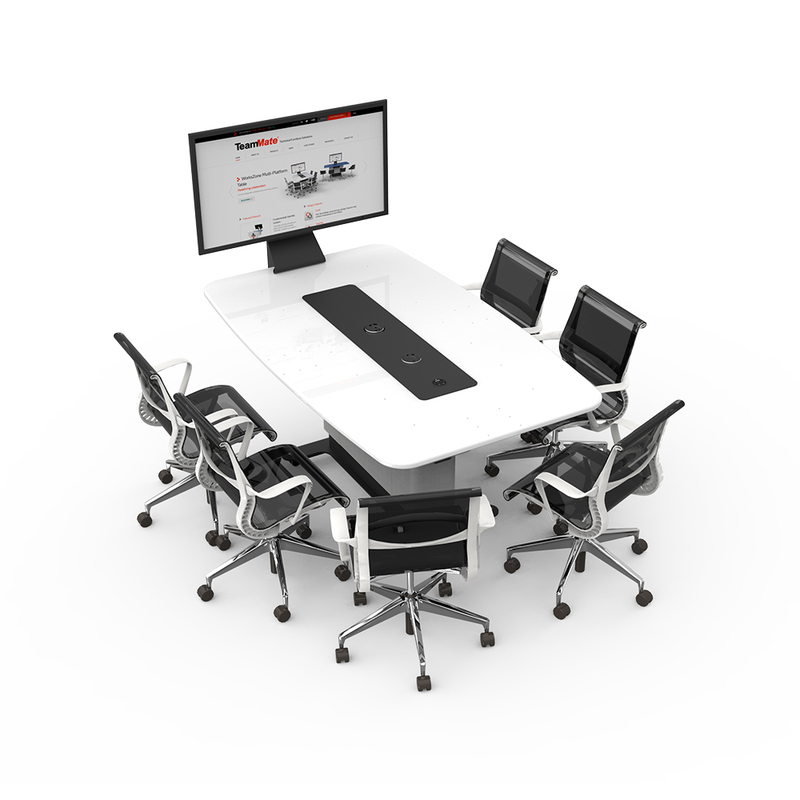 The system design enables users to switch between devices when working on a project as a collective. 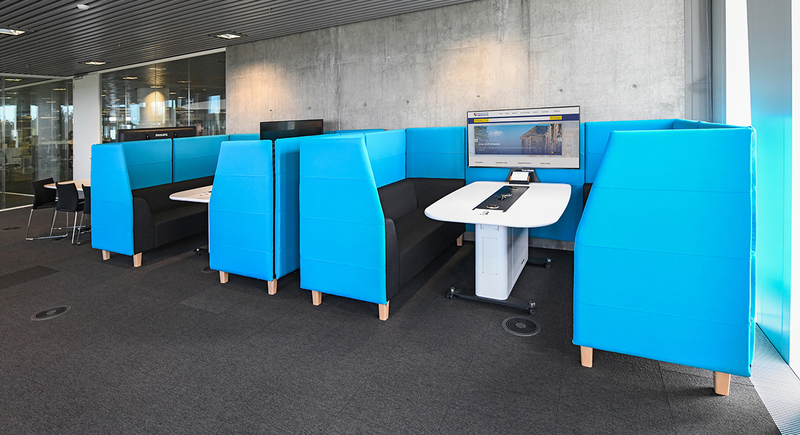 The fabric choices from the WorksZone Pods were chosen from Camera Era fabric swatch and very much suited the contemporary concrete walls inside the room. 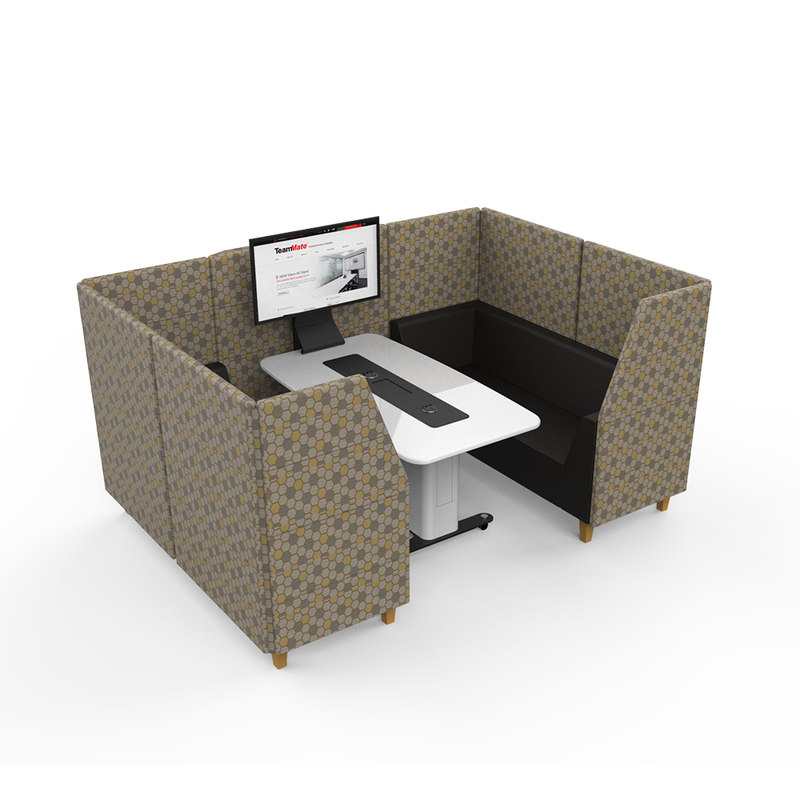 The sound resistant panels from the Pod ensures that conversational volume is diluted and makes for the perfect area for private discussions. 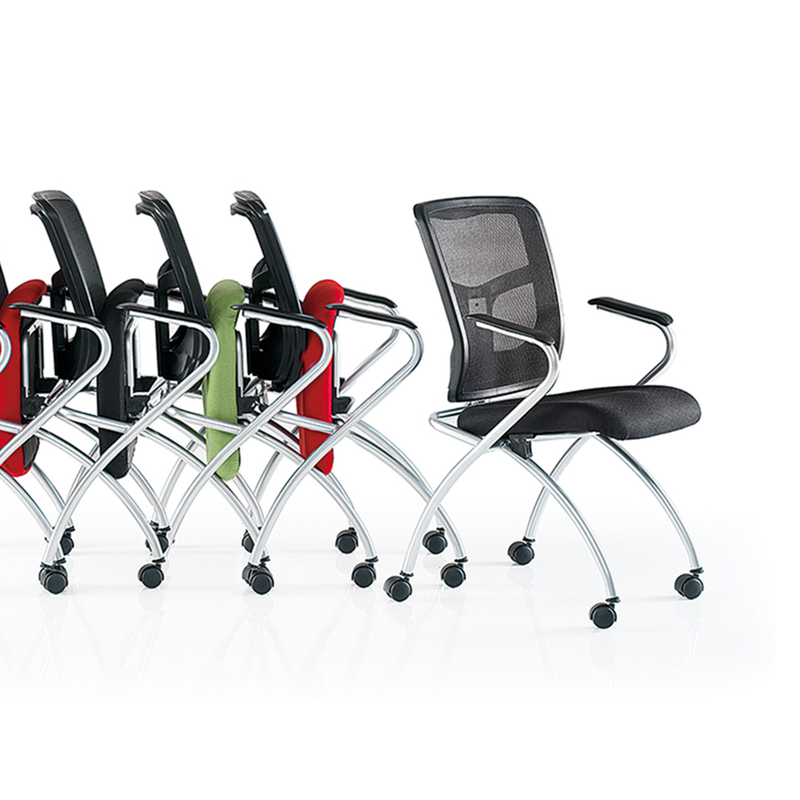 These Pods are unbelievably popular. 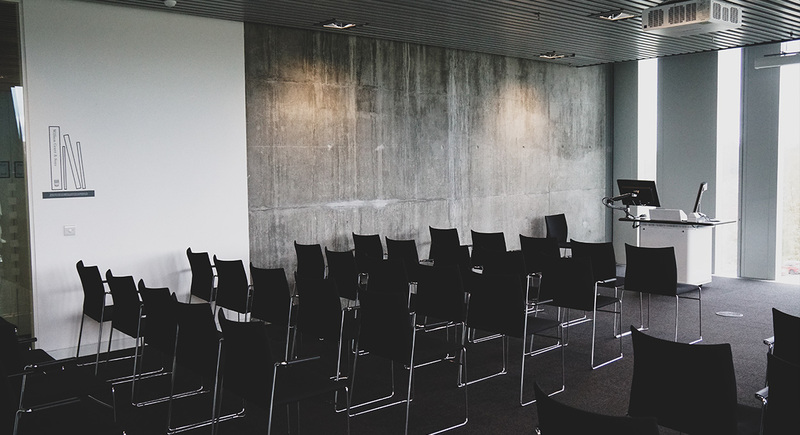 Students head for them first because they like them so much and they are always fully occupied.